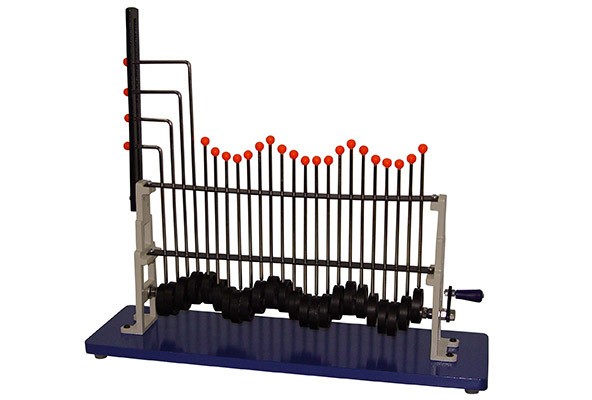 It demonstrates longitudinal and transverse motions, consisting of a number of eccentric discs supporting a series of metal rods. On revolving the handle, transverse waves are obtained with bent rods running in a metal guide. It consists of 24 nos. of Aluminium pulleys.